A German Immigrant, Heinrich (Henry) Wimberg manufactured cigar boxes, cabinets, coffins and became a builder and contractor. He was Chief of Egg Harbor Volunteer Fire Department and hung a sign “H. Wimberg - Undertaker” on the roof of his front porch in Egg Harbor City, New Jersey in 1881. In 1912 when Henry passed away, his son Henry Jr. who was helping in the business since 1895 took over. Henry Jr. had ten children, seven of whom were closely connected to the family business.. Although, there was great suffering during the depression in 1929, the business was able to continue and later grow. One of Henry Jr.’s sons, Lawrence G. Wimberg , who was also a mortician continued to serve the community of Egg Harbor City, while other sons, George and Chester moved to surrounding areas to serve those communities. Lawrence’s sons, Lawrence and Lloyd also become involved in the business. Lloyd became the manager of the funeral home in 1982. 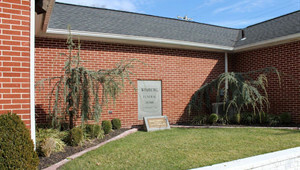 Lloyd went on to build an additional funeral home in Galloway Township. Wimberg Funeral Home is proud to serve the communities of Egg Harbor City, Mullica, Green Bank, Lower Bank, Galloway Twp, Absecon and any and all surrounding areas. 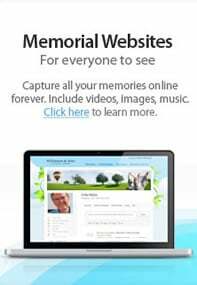 Lloyd continues with dignity and honors the long family tradition of funeral services that his Great Great-Grandfather began during the nineteenth century. We are here to serve you with compassion and dignity. Nancy has a BA in Public Relations/Marketing. She has worked as a Financial Analyst and Office Manager. She was also a Teacher for over 10 years as well. Nancy brings her many years of work and life experience to Wimberg Funeral Home. * Unlicensed and not qualified to make funeral arrangements, embalm or conduct funerals.